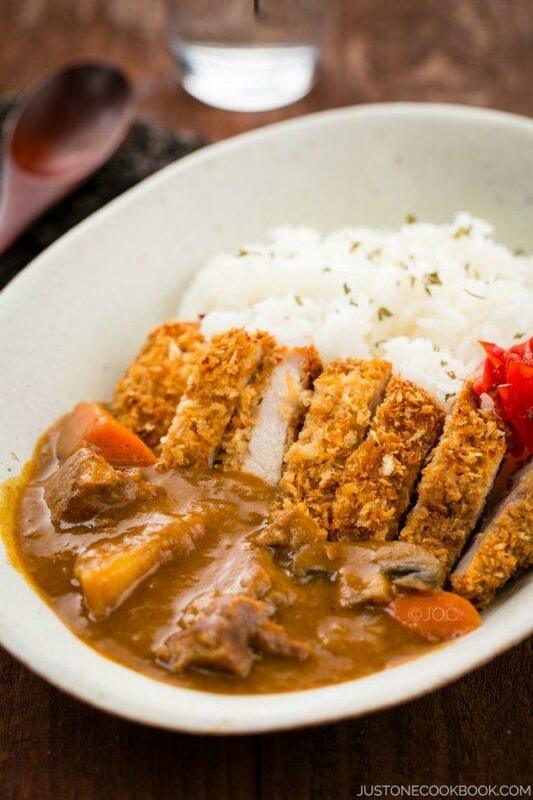 Today’s recipe is a rich and flavorful Japanese katsu curry served with chicken katsu or tonkatsu over rice. The crunchy texture of chicken cutlets slathered in a creamy sauce is the ultimate comfort dish. I have been traveling in Kyoto (京都) for the past 4 days and got to enjoy fabulous foods like Kobe Beef, and Kaiseki course. My Japan adventure continues tomorrow as we head to Hokkaido (北海道), which is known for its fresh seafood, dairy, and vegetable produce. 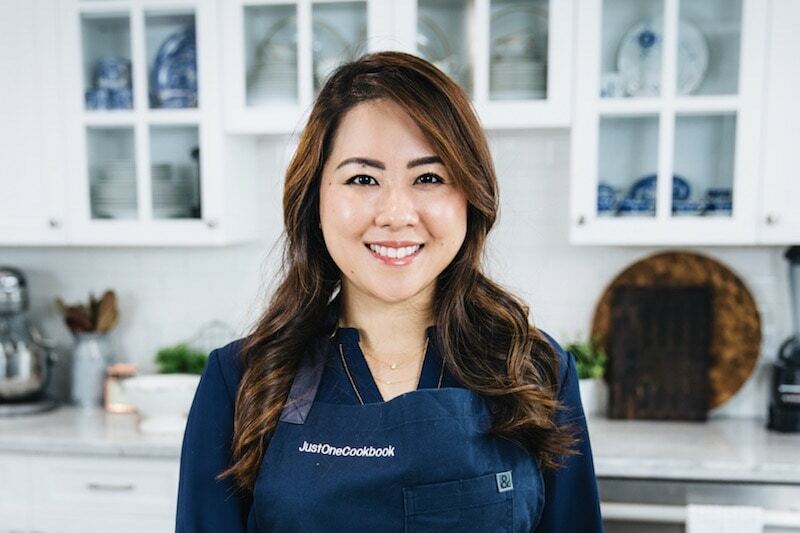 Follow @justonecookbook on Instagram to see the recent updates! As some of you may know, Japanese love curry. I had mentioned in my previous curry posts that Japanese curry is different from Thai or Indian curry. The sauce is thicker and the spice level is pretty mild because Japanese curry uses curry powder which was introduced by the British. Tender and juicy pork loin wrapped in crispy golden panko crust, serve with tonkatsu sauce and ground sesame seeds. Savory and hearty beef curry made with beef, potatoes, carrots, mushroom, and Japanese curry roux. It can be time consuming if you have to deep fry katsu and prepare the curry sauce at the same time. But not to worry, you can skip the deep drying and prepare the katsu in the oven instead. I’ve shared Tonkatsu and Chicken Katsu recipes which are both oven-baked. The resulting cutlets are so crispy that you can’t tell it’s not deep fried. Both baked tonkatsu and chicken katsu received very positive feedback from readers since they don’t require deep frying. Not a big fan of pork or chicken? You can also enjoy katsu curry with Fish Katsu. I’ve shared a baked fish katsu recipe but would recommend using a white fish over salmon for this dish. The great thing about Japanese curry is it’s absolutely freezer-friendly. It stores well in the freezer up to 3 months. When ready to enjoy, you just need to defrost and heat up. While simmering the curry, you can prepare the baked katsu which takes only 30 minutes. Tip: be careful heating up curry in a sauce pan as it burns easily. If you are heating up curry, make sure to keep stirring it so it doesn’t burn. 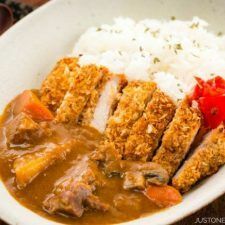 If you have tried the Japanese curry or Tonkatsu/Chicken Katsu recipe by itself, but haven’t tried this Katsu Curry combination, I hope you give the fabulous combo a try! I also included video tutorials on Baked Tonkatsu & Japanese curry above for your easy reference. Happy cooking! 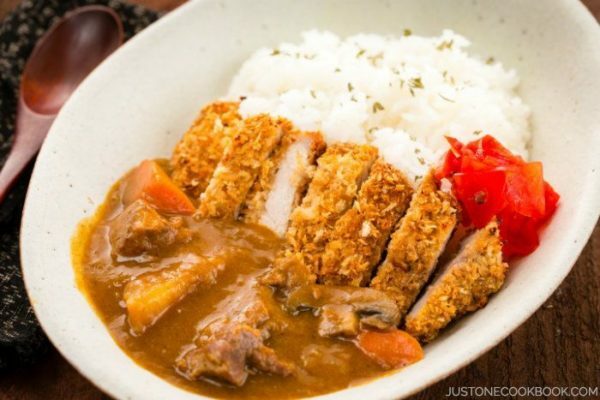 Today's recipe is a rich and flavorful Japanese katsu curry served with chicken katsu or tonkatsu over rice. The crunchy texture of chicken cutlets slathered in a creamy sauce is the ultimate comfort dish. 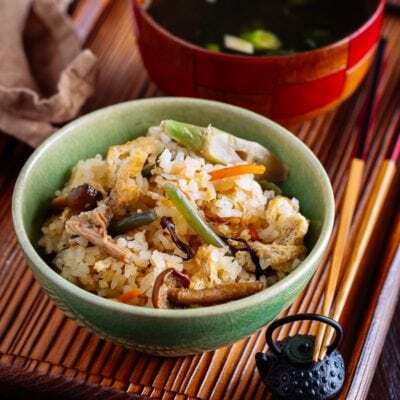 Serve steamed rice in a plate/bowl. Place katsu of your choice on top and pour curry sauce. Garnish fukujinzuke on the side. For Simple Chicken Curry recipe, click here. For Baked Chicken Katsu recipe, click here. Drools! I love the smell of curry much more the taste! Plain rice is its best match! 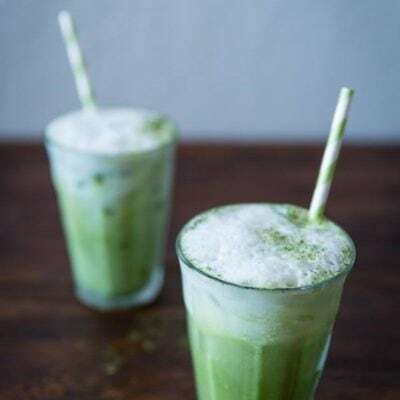 Thank you for this nice post and these nice recipes! Everytime I stop here i your blog or watch your lovely videos.. I get hungry! I like curry so much, but I don’t know why my kids don’t. I think I have to cook more dishes with it so they start to be familiar with it. 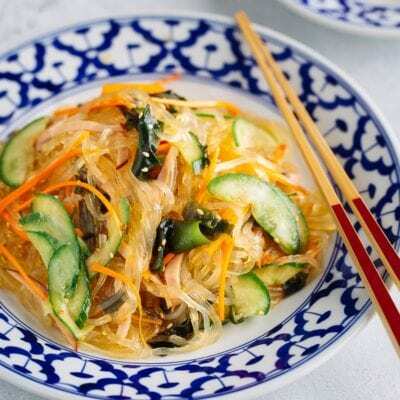 Fabulous looking dish Nami, my mouth waters..yummm!!! Both the dishes that contribute to this meal are winners, Nami. I look forward to the next time I make a Japanese meal. I’m glad I was reminded that you can make fish katsu as well especially as I have some sole fillets in my freezer. I’ve never met a curry I didn’t like! I like mine on the spicy side, but even mild curry has a lot of flavor. This looks wonderful — thanks. Sounds like you’re having a wonderful trip! I’m still intrigued by Japanese curry. It sounds like an oxymoron every time I see it. 🙂 This looks so good with the contrasting crispiness combined with the gravy and mushrooms. Excellent dish! Oh I love ordering Katsu Curry when we go out to restaurants. So glad you have a good recipe which I can cook at home. Thanks for sharing, Nami. Hope your week ahead goes well! I had Japanese curry on my first visit to Tokyo and I’ve been a fan ever since. I’ve never tried to make it at home but you can bet I’m going to make this one very soon! I’m enjoying your photos from your travels in Japan. It looks like you are very busy and having a great time. I still have to make your Beef Curry. I promised Boy #2 I would but I think if he saw this Katsu Curry I might have to make this one instead! This looks wonderful, Nami. We love curry! This is definitely one of my favourite dishes! I’d love to try make my own Jap curry from scratch sometime. This looks incredible! I shouldn’t be surprised anymore but the crunch is just screaming off the screen. We used to order katsu curry all the time when we shopped at Mitsuwa but I haven’t had it in a long time. You’ve reminded me of how much we all loved it. Yours looks far better than the ones we’ve had! I love curries a lot too and pairing it with katsu chicken sounds brilliant! 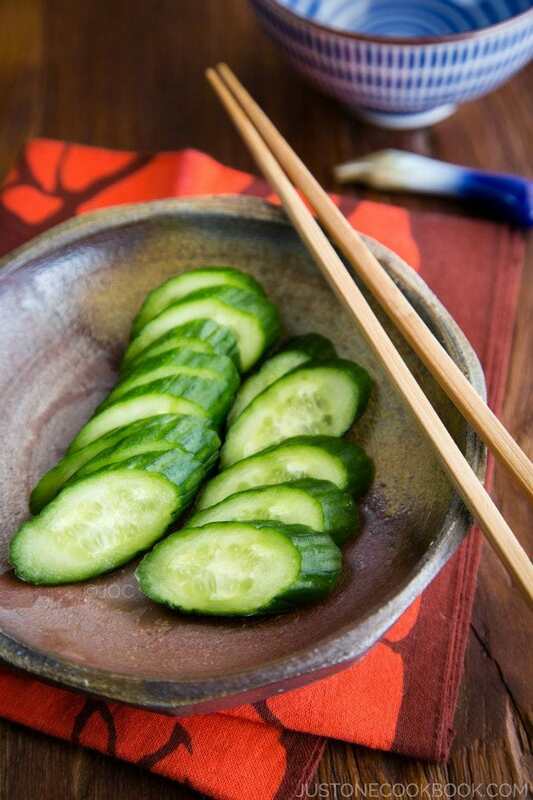 I can imagine biting into a crispy piece dipped into the curry sauce…yum! 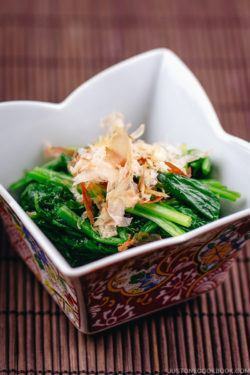 This is one of my daughter’s favourite dish when we visit Japanese restaurant, I might try your recipe to surprise her one day! 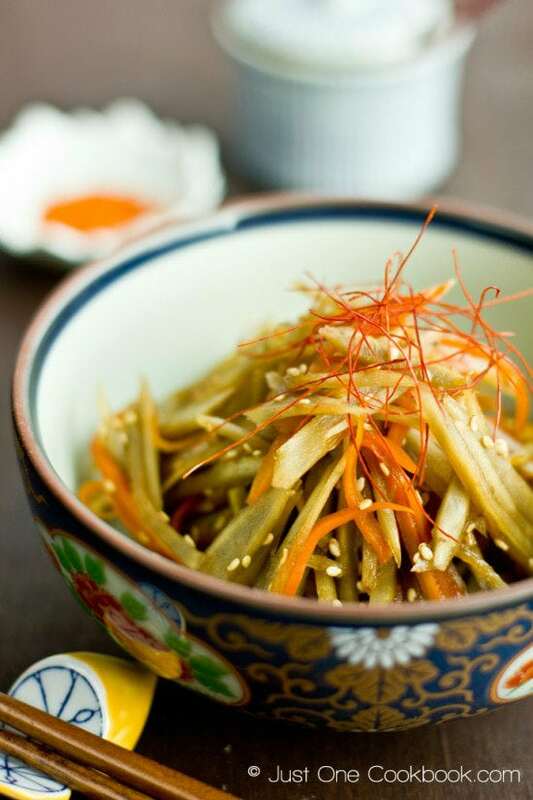 One of my favorite cities – and one of my favorite dishes! Thanks for sharing this easy recipe! Sometimes when I have curry sitting in the fridge in the summertime, I eat it cold—every season can be a good fit for curry. =) It looks like you and your family had a great time in Kyoto. Can’t wait to hear more about it and the rest of your trip. Also, I made tsubuan for my parents just last weekend, and both of them loved it! I still have to try tonkatsu in the oven, so thank you so much for reminding me. Your curry looks amazing. No wonder it’s your husband’s favourite version! This looks so mouthwatering! I love curry, but I don’t know why I don’t use it that often. Thanks for reminding with this amazing recipe! 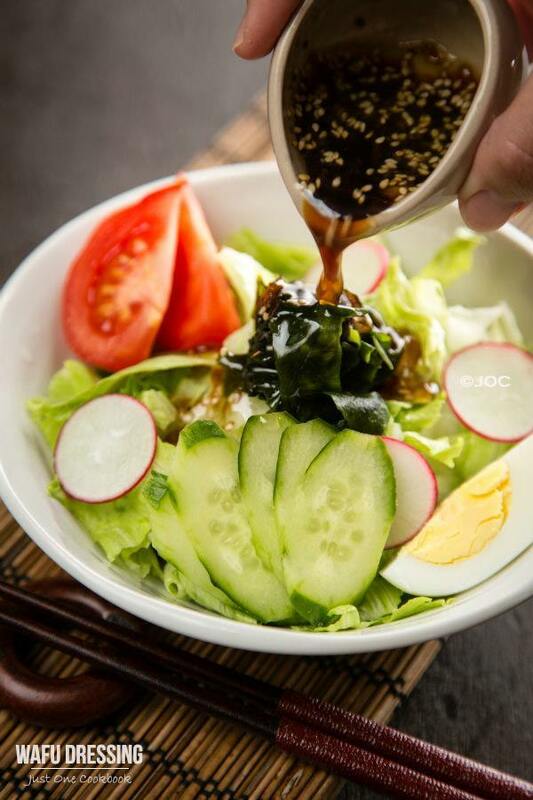 Nice to see a combination of some of my favourite Japanese dishes. Love the crunchy texture of tonkatsu as well as the saucy mildly spicy curry in rice, yum! This looks amazing! 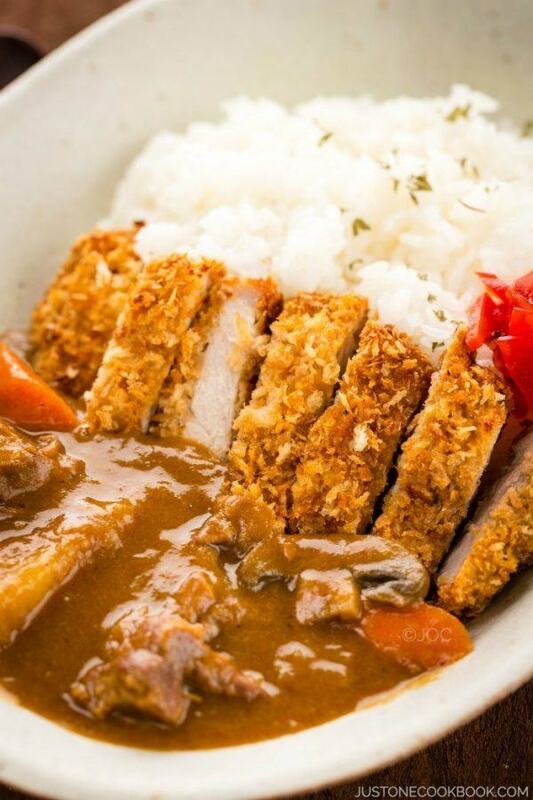 Katsu curry is my all-time favourite Japanese food! Love the flavours! Hi Nami, I’m a new member here and so happy to find your site. and love all your recipes! This katsu looks absolutely delish, just like the one I used to have in Japan years ago. 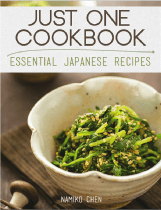 Anyway, I have been looking for this Japanese recipe… I used to buy it from a grocery in Tokyo. it’s a sauce mix for an eggplant and it comes in a pack. 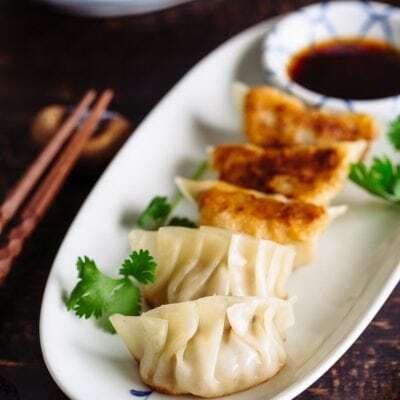 I have been craving for it for years, I hope you know what this product is called or what I’m talking about, and hope you know the recipe and share it, Thanks in advance. Hi May! 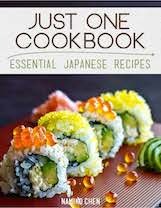 Welcome to Just One Cookbook! I think I know what you’re talking about. Is it this one? Oh my gosh, this is mouthwatering! I always love a good katsu curry. My daughter loves Japanese curry. I am tired of using the instant curry pack. Now i can make my own curry sauce with your recipe. Thank you so much for sharing. Don’t need to take in perseratives from now on. Btw i just returned from Kyoto last night，my kitchen is now full of Japanese kithenwares and condiments that i couldn’t get them from my home town. I took image of the cooking utensils from your blog and show to the grocers. Just to let know that your blog is very helpful for a non Japanese speaking person like me. ：) It saves me a lot of time from looking around. 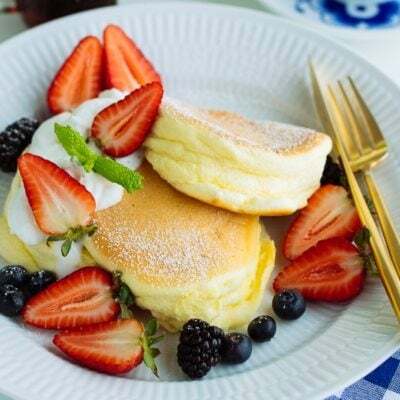 Emily, there are famous kitchen gadget street in Osaka and Tokyo. deep fried cutlets- now that is something amazing! Wow and with the flavor of curry. AMAZING! This is one of my most favorite dishes! Have fun in Japan! Not only that I always loved your pictorials but your videos are so helpful! This meal is drop death and gone to heaven good…I love katsu first of all, combined with your delicious curry which I tried before and rice equal to perfect meal! Delicious pictures too! That curry looks really scrumptious and ever so comforting! That looks so irresistible and so yummy. I wanna taste that too.. The ingredients and instructions you gave would be very helpful, Thanks for the share..
Ahhh, katsu curry. Without a doubt, my favorite type of Japanese curry. It`s something I always order whenever I order curry! 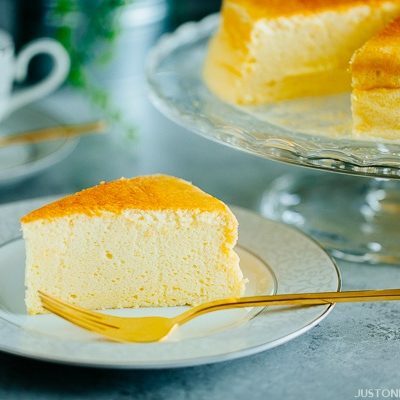 Thank you so much for sharing these recipes. I made Chicken katsu curry last night for a dinner party (following your instructions for everything including the homemade curry sauce and the rice) and it came out amazing; everyone loved it. I can’t wait to try all your other recipes! I love katsu curry! Next time you’re in Kobe, you HAVE to try the restaurant Najarou?! That was our favorite restaurant when we lived there! This video literally made my mouth water..and that was after I’d eaten dinner! Thanks for another great recipe. Love you videos and photography with great lighting and a steady hand and of course the music choice was super. And thanks for giving me a great curry option without the ubiquitous coconut found everywhere these days, cant wait to try it and share with my facebook fans over at Good, Cheap and Healthy Eats. Awsome! Incredably tastey. 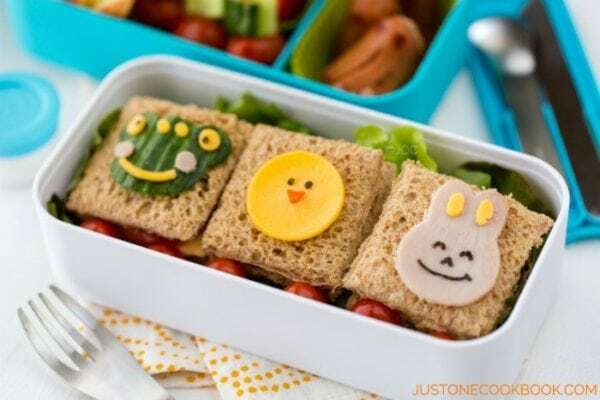 Our kids love this dishes! Thank you so much for the great recipe, and FREE! 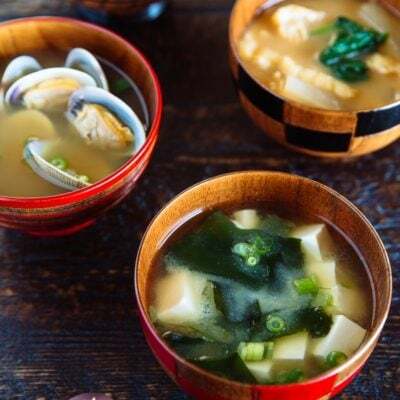 Nami, this recipe is spot-on. I made this for my lunch last week and it was amazing. Everyone at my office looked at me with envy haha. Thank you for the lovely recipe, I love how it’s always illustrated ! That’s exciting, I saw your new kitchen on instagram *definitely envious* ! I hate having to switch ovens once you’ve already learned the tips and tricks of your old one, it takes forever 🙂 About deco rolls, I know Junko has some really amazing deco cake roll recipes, but there’re all in Japanese so it would be great if you can have an English adaptation of those! Hi Chi! 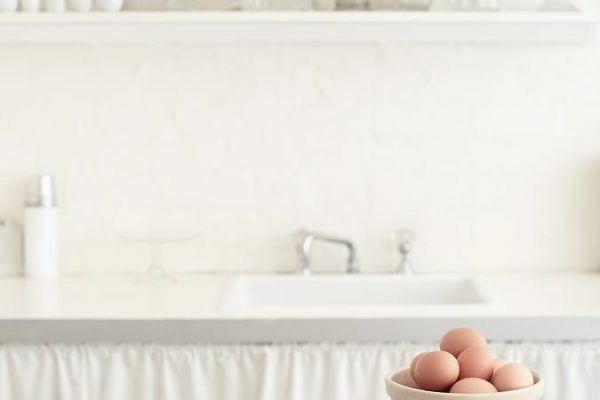 It’s exciting to get more space for video making, but I worry about my baking recipes too. But it’s good reason to become a reader myself and start making my baking recipes and testing the oven again. 🙂 Thanks for letting me know about Junko. I didn’t know about her and her book. 🙂 I’ll work on it soon! 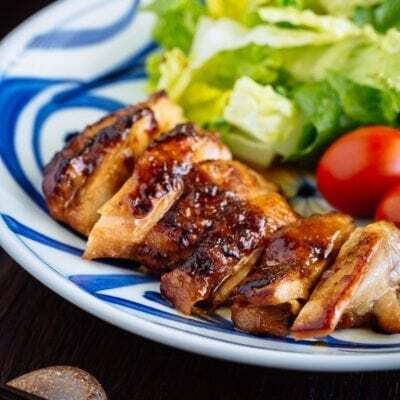 When making the curry, should I be omitting the chicken or beef from the recipe, as it will then be served with the katsu? Yes, sounds like might have more of a Thai influence. Anyway, I added some and it was pretty good, I can recommend it!